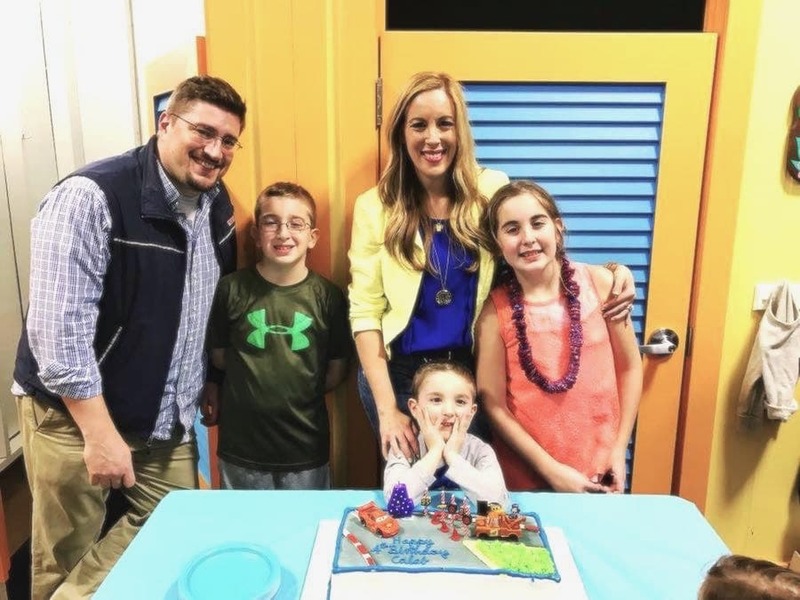 Lady and the Blog → Living → party → Caleb had the Best Birthday Pool Party at Goldfish Swim School!! 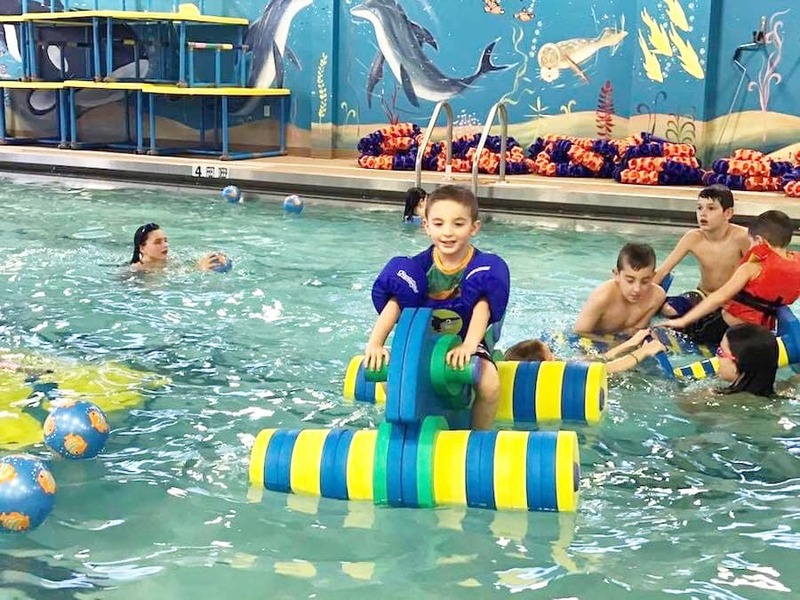 Caleb had the Best Birthday Pool Party at Goldfish Swim School!! As I hope you know by now, we signed Caleb up for swimming lessons at Goldfish Swim School on Long Island. 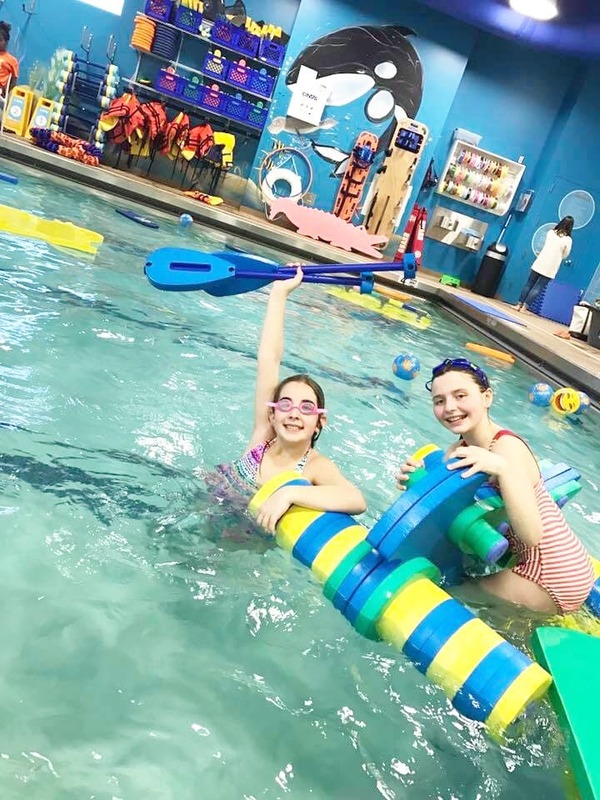 He goes every week and absolutely loves it – the pool, the design and decoration, the wonderful instructors, and the drills. It’s a lot of fun, but he’s also learning a ton! 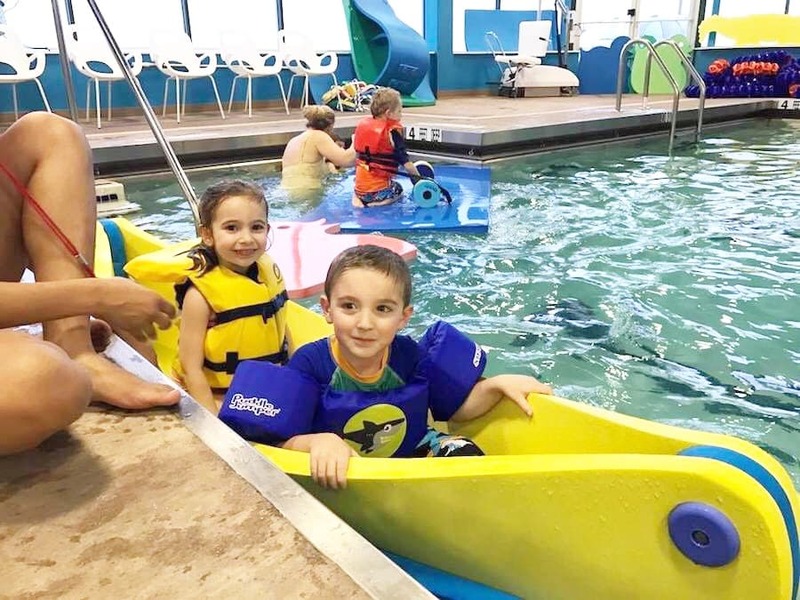 Since he’s been having so much fun swimming during these cold and bitter months, we figured it would be pretty fantastic to have his birthday party at Goldfish Swim, too!! What’s better than a huge pool party with his family and friends?? Bonus: the warm, “islandy” vibe of Goldfish melts all those winter blues away and gets you thinking of warmer, more festive times! It’s always summer there, so why not celebrate it!! The party was a cinch. We just set up the date and sent out the invites. The kids RSVPd with haste as they must be ready for spring and summer to come, too! LOL! The planning of the party is easy…all we had to do was bring the cake! The festivities, the floaties, the pool toys, the food were all taken care of. It’s such a pleasure not having to plan and worry about all of that. It’s even better not having to clean up the mess after! Plus, the kids had a complete and total blast. 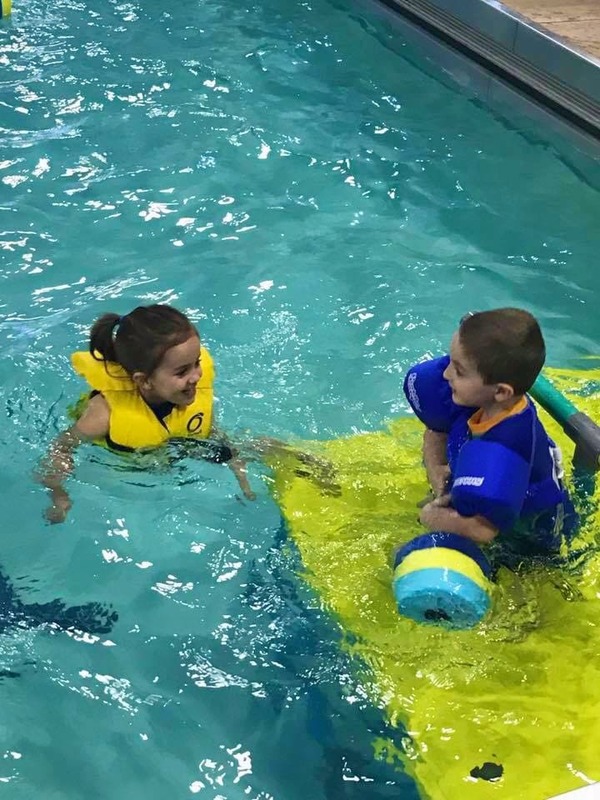 They were swimming and playing and riding in foam boats. I wanted to jump in..for a second. 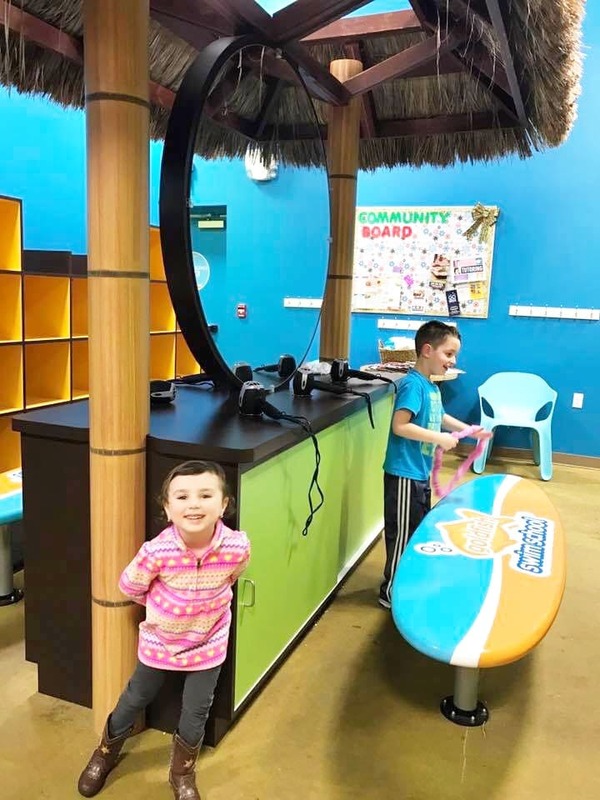 The joy on the kids’ faces was priceless and worth the price of admission for sure! The party ran for almost 2 hours and the kids did not want to leave. 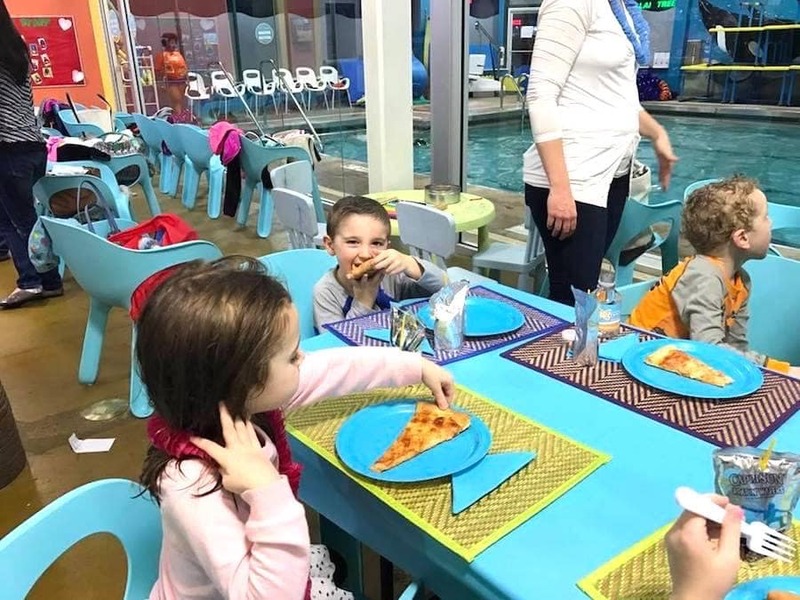 Even the pizza and cake was enjoyed poolside…hello! You can’t beat that, right? Even the “big kids” had a ball. Probably even more than the littles! 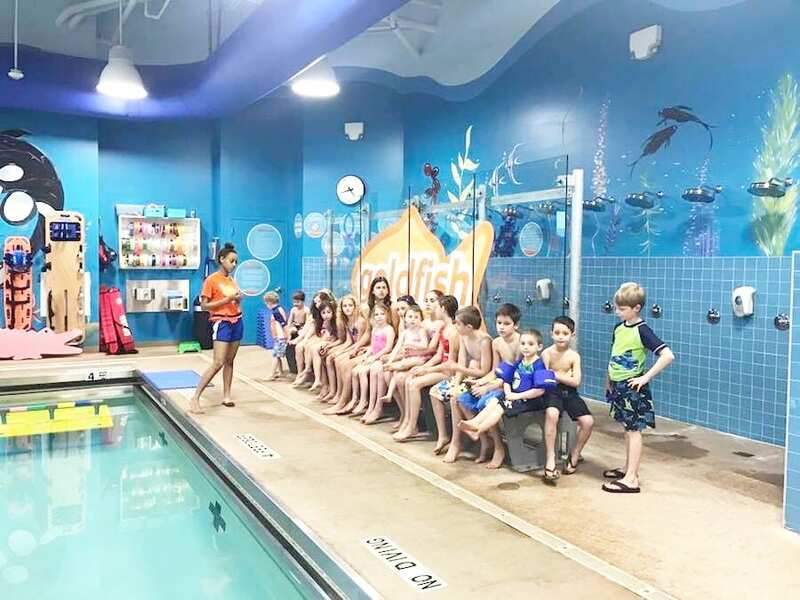 If you’d like to enroll your child into the Goldfish Swim School, click here. Use code LadyAndTheBlog to receive a free towel at registration! Also, be sure to talk to them about having a party there. It’s a ton of fun, and it’s a unique and care-free experience. Well, I don’t know why it only too two letters of my comment, but what I was saying is that pool parties are always the best parties. There is something about snacks and water that you can’t beat. Pool party! WOOT! Nothing’s better than playing in the water and eating pizza. Literally, nothing. I had no idea that they do pool parties there! That would be such a fun time. I might do that this year for my sons birthday. What a great place to have a party. I don’t blame the kids for not wanting to leave. It’s cold outside. Looks like he had a blast. Our kids are foaming at the mouth for it to be warm enough to start swimming in grandma’s lake again. Not happy when I tell them it’s a couple of months away still. Do they really provide the food? We’re having our daughter’s birthday party there next week, and we have to order the food ourselves.